Mention “Huawei” and most people would immediately associate the brand with the latest, high-quality technological products. Indeed, the Huawei brand has come a long way since it was founded in 1987. Within a short 30-year history, Huawei is today a global behemoth competing against the likes of Apple and Samsung. This begs the question: what is the secret to Huawei’s rapid brand success? This article seeks to unravel some of the key factors to Huawei’s accomplishments. Huawei Technologies was founded in 1987 in Shenzhen, China as a rural sales agent for Hong Kong-based phone and cable network businesses. In the 1996 to 1998 period, Huawei first expanded into metropolitan areas of China as urban populations exploded. Global management consulting firm McKinsey & Company predicts that China’s urban population will hit the one billion mark by 2030 and have 221 cities with over one million inhabitants by 2025 compared to 35 in Europe. Vast cities require complex communication networks and Huawei has continued to grow at an astounding rate by expanding on and servicing this need. Today, Huawei’s products and solutions are deployed in over 170 countries, and serving more than one third of the global population. Huawei is the third-biggest global manufacturer of routers, switches and other telecommunications equipment by market share after Alcatel-Lucent and Cisco, and the brand recently joined in the ultra-competitive smartphone race. For many observers, Huawei has seemingly come out of nowhere to become one of the world’s most dominant technology brands. Primarily a business-to-business company (B2B), its biggest gains have been outside of the public eye. Major customers include telephone and internet operators, which use Huawei’s expertise to provide services to customers under their brand name, not Huawei’s brand. It also lacked worldwide fame due to its Chinese origins. With up to one-fifth of the world’s population within its own Chinese borders, Huawei has been able to grow while still remaining relatively isolated. Huawei’s core business can be dissected into three business groups. The first group, the Carrier Network Business Group provides wireless networks, fixed networks, global services, carrier software, core networks and network energy solutions that are deployed by almost all major communications carriers worldwide. For seven years leading up to 2012, the compound annual growth rate of Huawei’s managed services division exceeded 70 percent annually, making Huawei the fastest-growing managed services provider globally. The second business group, the Enterprise Business Group, is a perfect complement. Once information is sent and received through “pipes”, these data have to be analysed, translated, stored and saved, by Huawei’s data center and storage products. The third group is the Consumer Business Group, which spearheads the company’s push into the personal handset and smartphone segments. Huawei calls this its “pipe strategy”, focusing on Information storage & processing, Information transportation & distribution and Information presentation & creation. In April 2017, the brand has announced its plans to create a separate cloud business unit as part of its plans to invest USD 1 billion to expand its cloud business. Eric Xu, Huawei’s rotating CEO has said that the brand has been pushing its new public cloud platform both independently and by partnering with operators in some countries, such as Deutsche Telekom in Germany. Huawei’s personal handset business has steadily built expertise from a low-cost component and assembly provider to the top global mobile phone makers. Although it received no branding benefits, by 2008, it was ranked No.3 in the global mobile equipment market. It has now successfully shed its role as an original design manufacturer (ODM) and begun to manufacture and brand its smart devices. The movement up the value chain from component manufacturer to self-branded smartphone maker is a major part of Huawei’s current and future growth strategy. Huawei Consumer Business Group became the third largest smartphone manufacturer by market share in 2017 commanding 10% of the total global market. Huawei’s vision is to enrich life through communication. More people are becoming connected worldwide on ever-faster devices, with greater demands on speed, usability, and a secure and personalized experience. Businesses have their own demands and use technology to manage logistics, operations and all kinds of consumer data. By 2020, interactions between people, things and the environment are expected to result in over 50 billion connection requirements from GPS, compasses, cameras and microphones, not just communications. To deal with these digital floods, Huawei is committed to provide broader, smarter, and more energy-efficient pipes. Working closely with customers and being customer-centric is Huawei’s greatest differentiator. It has set up 15 research institutes and centers, and 36 joint innovation centers operating directly with leading carriers worldwide to create customized technologies for each carrier’s unique needs and establish their competitive edge for customers. In 2016, Huawei was ranked the 46th most innovative company globally by the Boston Consulting Group. It ranked first two years in a row in terms of global Patent Cooperation Treaty patent applications from 2015 to 2016. With 180,000 employees, Huawei has over 80,000 research and development employees (comprising 45% of its workforce) in Germany, Sweden, UK, the U.S., France, Italy, Belgium, Finland, Ireland, Russia, India, and China. Huawei understands that strong brands drive innovation and this is reflect in its worldwide operations. The overall R&D expenses of Huawei totalled 14.6 percent of annual revenue in 2016. This single-minded dedication to innovation is illustrated by its philosophy of “Might from a small hole.” Just as water can cut through steel plates once highly pressurized through a small opening, Huawei believes that if its resources remain committed to a sharply-defined purpose of enriching life through communication, it can consistently improve. After its successful foray into the smartphone business, Huawei has pursued a philosophy of positioning its products as technologically-advanced problem-solvers. It aims to link its solution–providing legacy to the world’s biggest telecommunication providers with its future platform of manufacturing and selling the most advanced phones. The transition from a non-visible ODM to a visible manufacturer of brands is a challenging journey for Huawei to manage and excel in. It requires dedicated efforts by the leadership team to unlock the global potential. To be the first choice and best partner of telecom carriers, Huawei not only has to master the current technological level, but also anticipate future customer needs. Outsmarting current technology and setting industry standards are integral strategies for Huawei. There are almost 200 fourth-generation networks operating commercially across 75 countries today with another 200 still in planning stages. Meanwhile, Huawei’s R&D teams have been working on developing fifth-generation (5G) networks for several years, expecting to introduce commercial 5G networks by 2020. Huawei’s foresight will make it the first-mover in 5G technology when the time comes. Huawei’s rotating CEO Ken Hu suggested 5G will be up to 100 times faster than 4G. In 2014, Huawei set up the world’s first 5G phone network in the Isle of Man. Huawei is taking further advantage of its growth by becoming an international leader in various industrial standards. As a leader in cloud and storage standardization, Huawei holds over 20 key positions in international standards organizations. From this leadership platform, Huawei can shape the future of information technology policy and help it stay ahead of competitors. Huawei has taken great strides in aligning its internal leadership and hierarchy to remain responsive in a fast-moving industry. Although a chain of command that promotes uniformity and control quality is vital for branding, it can be detrimental to innovation. Making more decentralised decisions is important, and Huawei has begun delegating decision-making authority to customer-facing roles and field offices, encouraging idea flow. By far the riskiest, and potentially the most brilliant leadership strategy, is Huawei’s rotating CEO system where a small group of executives takes turns to fulfill CEO duties. Compared to one single CEO who is expected to handle multiple strategies with in-depth insight, a group of rotating and acting CEOs is believed to be more effective as they have time to better prepare for their next term as acting CEOs. This ensures that a wider breadth of expertise is present in the most senior leadership positions over time. Technical prowess, combined with unique senior management style, allows the company to operate with a fresh thinking towards its brand strategy. In 2014, the company launched its corporate marketing and branding theme, “Building a Better Connected World”, demonstrating its vision and future positioning. Huawei does follow Apple to some extent by launching glitzy events to build awareness, but it also invests significantly in public relations and lobbying. Its marketing efforts are linked to a strategy of positioning its products (especially smartphones) as epitomizing excellence. The “Excellence with Edge” campaign for its P7 smartphones in 2014 portrayed visionaries or trendsetters. In 2015, in order to highlight the diligence and effort of the company’s employees, Huawei’s rotating CEO Ren Zhengfei selected a photo of a ballerina’s feet, one wearing a silk ballerina shoe for performance, sharply contrasted with the other revealing a bloodied and bandaged barefoot – with the tagline ‘The journey is hard. And joyful.’ In 2017, its corporate branding campaign took on a very different spin as it used a picture of a lighthouse beam piercing through the darkness under an Australian night sky – the beacon of light metaphor conjured up by world leaders to reflect their intention to be a guiding light for others. Huawei has been continuously leveraging technological expertise in its product positioning. The company does not hesitate to use words and phrases that describe its products as the “best” or the “fastest”. The underlying strategy is to create a very high value proposition attached to its products. The brand strategy is accompanied by a strong visibility campaign. By 2012, more than 90 percent of the company’s consumer devices were shipped and sold under the Huawei brand. Although this resulted in a backlash from some telecom providers who stopped doing business with Huawei, the company refused to relent on building its brand visibility. Its brand visibility push has also been aided by the decline of Sony, Blackberry and HTC, which has opened up new opportunities in the consumer retail space. Beyond China and the U.S., the company’s smartphone brands have found potentially lucrative opportunities in India, Indonesia, Taiwan and many African countries. These newfound opportunities have linked nicely with Huawei’s status as an entry-level challenger in most markets and enabled it to design and implement a global marketing strategy rather than grapple with the complexities of different maturity levels in different markets. Huawei’s landmark year on the global stage came in 2005 when international contract orders first exceeded domestic Chinese sales. Recognising that an identity change would be needed to accompany its ascendance on the global stage, Huawei redesigned its corporate identity to reflect principles of customer-focus, innovation, steadiness and harmony. The new image was intended to balance internal challenges occurring within Huawei – reflecting its transition from a traditional, local brand to a modern, international one. Huawei officially released its new visual identity and logo on May 8, 2006. By end-2006, Huawei had been awarded “Broadband Infrastructure Vendor of the Year in Asia Pacific” by Frost & Sullivan and boasted 31 of 50 top telecom global operators as chosen corporate partners, including Vodafone, BT, Telefonica, Telfort, FT/Orange and China Mobile. No longer a rising star, Huawei was now a global leader. To continually re-imagine itself as a mobile brand rather than simply a B2B service company, Huawei unveiled their ‘Make it Possible’ smartphone initiative using story-telling around their products rather than promoting product features in 2013. In technology industries, branding focus should be less about superiority claims, more on understanding customer desires and improving lives. Brands also communicate through pricing. Huawei’s ultra-affordable USD 80 Android phone has helped it gain footholds from many markets ignored by premium smartphone makers Apple, Samsung, HTC, Microsoft and Blackberry. In Africa, Huawei has put tens of millions of smart devices in the hands of African youths and brought 1 million African small and medium-sized enterprises (SMEs) online. The core of Huawei’s pricing strategy has been to ensure lower prices than most of its competitors, without pricing too low that it would either comprise quality or put the quality of its products into question by appearing to be another low-cost Chinese provider. Therefore, Huawei prices itself only 5%-15% lower than its main competitors. For consumers in mature markets like the U.S. and Europe, Huawei may have to consider a different pricing strategy. Whether consciously or unconsciously, customers use pricing as a quality and reliability indicator. In these markets, premium pricing infers a premium product. In addition, pricing is crucial for Huawei to avoid the negative “Made in China” perception as low-cost and low-quality. For Huawei to enter as a low-cost provider by such a wide margin, it risks segmenting itself as a low-quality alternative. In 2013, in the U.S., Huawei made its first formal marketing push in mobile. But due to the U.S. governments’ suspicions that the company is acting as a spy on behalf of China, Huawei received continuous rejections, was banned from bidding in government contracts and its sales and marketing efforts were severely restricted. By the end of the first quarter of 2014, the company had officially and unofficially announced its intention of not pursuing the U.S. as a market. Today, Huawei’s leadership remains that the U.S. is not a priority for the brand now, but might be in the future. The company’s investments in marketing and communications have paid off in the short run. In 2017, it became the first Chinese brand to break into the top 100 (rank 70) of global brand consultancy Interbrand’s ranking of the world’s most valuable brands. This has been due to continuous investments in improved brand management, glitzy events, public relations and lobbying. Huawei even toyed with the idea of changing its name to ease pronunciation for Western consumers, but eventually stuck with its name. Because of the global strategy aimed at increasing brand awareness and visibility, Huawei’s marketing and advertising campaigns are global in nature (launched in 40+ markets simultaneously). Huawei employs some of the leading global marketing and advertising groups including WPP/Ogilvy Mather, Saatchi & Saatchi and several digital agencies. Consistent and heavy investment in advertising and communications has been the mainstay of Huawei’s brand strategy. This will continue as the company tries to strengthen visibility and awareness of its products globally and remain competitive (in terms of marketing investments) with the likes of Apple and Samsung. Continuing the pace of innovation: History has shown that monopoly control is temporal. Structural realities in every industry have and will continue to change as illustrated by BlackBerry’s fall from their dominant heights. The biggest mistake of successful companies is complacency. For Huawei, continuing to push forward with R&D is insufficient. As a cautionary tale, Nokia spent ten times more on R&D than Apple between 2004 and 2007, yet Nokia steadfastly built products to satisfy its current key segment’s needs, ignoring the small number of consumers who showed great interest in future touch-screens. Similarly, Huawei must continually seek to satisfy and create future consumer needs rather than their current ones. Although Huawei is an entirely employee-owned private company, it will certainly attract attention from investors looking to latch on to its impressive growth. Should it pursue an IPO and become more widely held, leadership must resist the shareholder value syndrome that has befallen many of tech’s greatest innovators. The focus of stock markets on quarterly returns has entrenched a management system in most great companies which discourages dramatic change because game-changing innovations are risky. Stock markets do not initially respond well to disruptive innovators. Brand image in the United States: By far the most difficult challenge in Huawei’s global strategy is in the U.S., where there is a smear campaign by the U.S. government. Intelligence officials have recommended American firms not to do business with Huawei due to potential Chinese state influence and security concerns. Huawei has long been searching for an opportunity to expand to North America, which accounts for about 20 percent of global telecom spending. Ever since a 2007 report highlighted the military background of CEO Ren Zhengfei, Huawei has become a political target. Before he founded Huawei in 1987, Ren was a civil engineering director for the Chinese military. Huawei currently sells telecom equipment to major Internet carriers which, in turn, carry data for practically every government agency. The U.S. intelligence committee said that U.S. telecommunications firms should avoid business with Huawei because of potential Chinese state influence and security threats. In response, Huawei has started a charm offensive toward analysts, reporters and politicians to shake suspicions. Huawei also disclosed the members of its Board of Directors. These B2B challenges are partly why the smartphone will likely be the key to Huawei’s growth in America. Huawei cannot admit defeat or forgo the U.S. completely as it comprises about 20% of global telecom spending. While it does not need to be dominant in the U.S. market, it must be accepted as it grows as a smartphone brand. If Huawei plays this out well, it could be a significant showcase of citizenship and earn the brand a seat at the table with the likes of other Asia technology brands in the United States such as Samsung, Lenovo and LG. Moving ahead, Huawei must volunteer more financial and corporate information for transparency. Mergers & Acquisitions: A significant part of Huawei’s leap from regional player to global leader has to do with its astute strategy of brand partnerships throughout its development. In 2003, Huawei established a joint venture with 3Com, a world leader in networking solutions at the time. The venture was called H3C – a conjunction of both companies’ brand names. Under the agreement terms, 3Com would simply sell and rebrand products under H3C while reaping the benefits of Huawei’s distribution networks and local knowledge. This venture would be extremely profitable for 3Com, but possibly even more valuable for Huawei in the long-run who, after their years learning from the American giant, eventually moved to purchase their global operations in 2007. Unfortunately, U.S. government regulators stepped in over concerns that the Chinese military would gain access to 3Com’s cyber security unit which sells software to the U.S. military. Eventually, 3Com was acquired by HP in 2010. However, Huawei succeeded with Symantec. In 2008, it signed a joint venture with Symantec to boost their capabilities in network, security, and storage technologies. More than 50 percent of Huawei Symantec employees would be engaged in research and development activities with labs in Beijing, Shenzhen, Hangzhou and India. Three years later, Huawei acquired all of Symantec’s shares in the joint venture. For a company who had only begun R&D in security technology in 2000 and storage in 2004, Huawei was now a global powerhouse in both fields. Huawei continues to be mentioned as suitors in potential game-changing acquisitions as it seeks to deploy its capital. In 2010, Huawei purchased products and services from American companies totaling USD 6.1 billion. In 2012, rumours began to swirl that Google – who had bought Motorola – was in talks to sell the entire Motorola handset business to Huawei. To continue to add expertise, Huawei will face a challenge to stay away from the type of mergers or acquisitions that are predicated on cost efficiency and economies of scale. The most meaningful mergers and acquisitions for brand-building are those that truly add to a company’s competitive advantage, not just their bottom-line. The company has started making a conscious effort to bring more international and diverse experience in its managerial ranks, not only at Board level but in multiple senior and mid-management roles. It has also started hiring high-profile Western executives to diversify its senior management team. This strategy should be followed and implemented in a comprehensive fashion so that diverse, global thinking and experience permeate deep into the organization’s fabric. A truly global senior management team is essential for Huawei’s success in foreign markets. Five years ago, consumers may not have heard of the brand Huawei. Today, it is the third largest smartphone manufacturer by market share. Indeed, its growth has been impressive and phenomenal. From 2012 to 2016, Huawei more than doubled its annual sales revenue to USD 75 billion with more than half of that coming from outside China. Some of its key success factors include unwavering commitment to R&D investment and spending, its engaging corporate branding and marketing campaigns, and its effective pricing strategy targeting the right consumer segment. 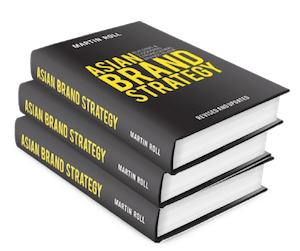 These are all valuable takeaways for brands that want to excel on the global stage. However, Huawei still has a relatively weak presence in the South Asian, Indian, and North American markets, which limits its potential to take a sustainable second place position behind Samsung. The board and business management of Huawei will need to take a closer look at the company’s entire global business strategy and determine the next important steps for Huawei. If Huawei aspires to become the world’s leader in the global information and communications technology sector, it requires bold, daring and different decisions.